Buyers are looking for the best they can find for the best price, so a home for sale can easily slip through the cracks if it’s not in good condition and appealing to the eye. According to industry experts, a well maintained home appeals to more potential buyers and typically sells much faster and at better price. Buyers will be more comfortable purchasing a home that has been well cared for because they are able to see what they are actually paying for. When you are showcasing your home, make sure that you are showing the prospective buyer the art of the possible. When you are getting your house ready for sale, you need to prioritize and spend as little money as possible. For example, a typical buyer would probably not be willing to pay extra money for a new roof on your home, though it is a good feature. Once you are ready to sell your home, there is a significant difference between touching things up such as replacing broken windows and painting walls and having expensive renovations, such as installing a new bathroom. If you have any questions regarding where you should invest your hard earned dollars, make sure to ask your realtor. 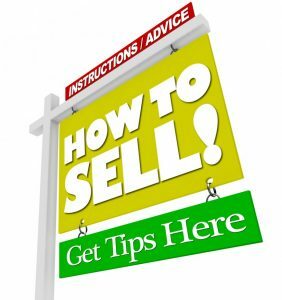 The following are some additional tips to use when selling your previous home. Sometimes sellers are too emotionally attached to actually put their house on the market and say goodbye to yesterday. You need to visualize yourself handing over the keys and signing the seller’s contract. This will help you look at your house objectively and identify new ways to improve the property so that it is attractive in the eyes in the buyer. This is part of saying goodbye. That massive painting of your great aunt hanging up in the hallway may remind you of your childhood at your summer cottage, but it is unsettling and distracting to the potential buyer. Pack away the personal photos and family heirlooms, this is no longer your place and personal artifacts are off-putting. Your goal is to have the buyers imagine their own photos in the rooms. You want them saying while the tour the property, could I imagine myself living here? Garages, basements, and large closets need to be free and clear of junk and clutter if they have been used to store things in the past. The objects in these spaces should be cleaned out and sent to a rental unit. If you’re no good at this kind of thing, consider hiring a home “stager,” someone with experience preparing homes for showings. Typically, their fees can be offset by a quicker sales and higher selling price. These seemingly insignificant details can add thousands of dollars to your eventual sales price.